Multiple options, expensive product and expert installation are the reasons why you should make a well-informed buying decision. Choose a bathtub that fits your requirement and complements the bathroom space. A standard alcove bathtub is the most common type of bathtubs available across department stores. Usually, the bathtub is 60 inches long by 30 inches wide. If you have a small bathroom and it contains a narrow space bounded by three walls, you can opt for the bathtub style. Make sure that you buy one with a bathtub drain that matches the location of the faucet. As the name suggests, it is set below floor level. Your bathroom renovation contractor can construct a deck-like structure in the bathroom for installing the bathtub. The plumbing system is covered to give a finished look to the bathroom. As only the rim of the bathtub is visible, the contractor will leave its outer surface unfinished. It reduces the cost of the bathtub, making it an affordable choice for homeowners. An evergreen style! A claw-foot bathtub is a free-standing bathtub. It means you have the freedom of installing it anywhere you want. You can choose it for giving a luxurious and elegant look to the bathroom. Commonly, it is made up of cast iron. The claw-foot bathtub is an expensive option because of the presence of the porcelain enamel on its surface. 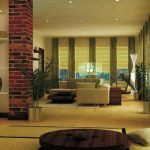 But, you can choose inexpensive acrylic options that are available in the market. 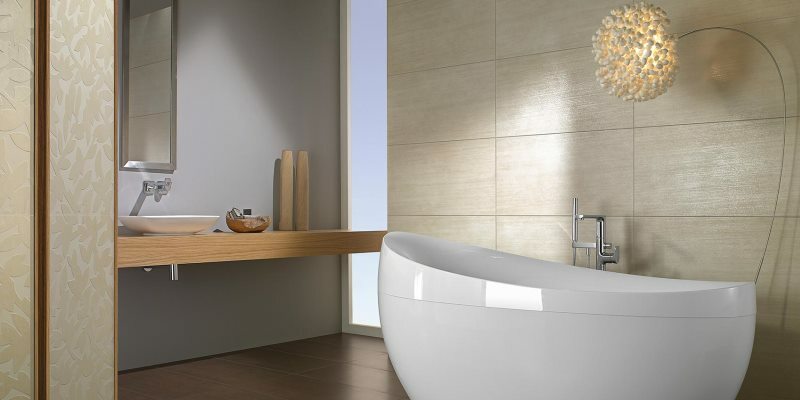 If you have a spacious bathroom, you can decide on choosing a free-standing bathtub. You can put it in the center of the bathroom or near a window to make a bold statement. You can find the bathtub in a variety of shapes, sizes and material that allow you to customize the bathroom according to your requirements. Remember that the pipes are exposed in a free-standing bathtub. So, ask your bathroom renovation contractor to select pipes that complement the space. If you love a good bubble bath, you need to buy a soaking bathtub. It is bigger and wider than the standard bathtub to provide complete satisfaction. As it is big in size, it will require a large amount of hot water. So, ask your contractor to install a water heater with large heating capacity. Alternatively, you can buy a soaking bathtub with an in-line heater. It will heat the water and re-circulate it to ensure that you enjoy hot water as long as you want. If you are looking for a bathtub that doubles up as a massager, then you should consider buying a whirlpool bathtub. It makes use of a motor to release water forcefully through the jets and gives you a deep-tissue massage. It is perfect for sore muscles. You can adjust the jets according to the level of pressure you require. In some bathtubs, you can even adjust the location of the jets to ensure a complete massage. You can get into a walk-in bathtub easily because of the entrance door. The door makes entering the bathtub easy as well as safe. Usually, it is ideal for old people or someone who has difficulty getting into a standard bathtub. It has special seats and hand-bars for helping people get up. When you buy a walk-in bathtub, make sure that it has a quick draining facility to drain the water. If you have an old parent living with you, a walk-in bathtub will suffice their needs. A smaller space requires a standard alcove bathtub. And, a claw-foot bathtub will suit an elegant, royal home. When it comes to bathtubs, there are many options to choose from. It is imperative that you choose a style after calculating your budget and considering your needs. Once you have made a decision, ask the bathroom renovation contractor to install it for you because a bathtub is quintessential for a spa-like experience in the bathroom. Affinity Renovations will help you in creating a spa-like experience in your home. Trust Toronto’s favorite bathroom renovation contractor for installing a bathtub efficiently. 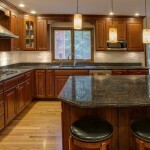 Hire us for complete home renovation services as well as quick handyman services. It is always nice to have a bathtub in your bathroom. If your planning to install one, ask the experts opinion. You may end up frustrated if you can’t move around after putting a tub. Always be ahead of the planning.